Home › Analysis › Will Turkey Be Football’s Next Promising Land ? 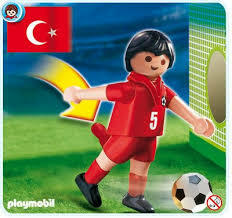 Will Turkey Be Football’s Next Promising Land ? This summer, one more time, several well-known players will arrive in Turkey, but not for some well earned holiday in one of the country’s luxury resorts. Süper Lig has become a fashionable destination and it’s now quite different from the first arrival of some brave aficionados who came in the 90s(Taffarel, J.J. Okocha, Gheorghe Hagi). These players were the first contingent and were followed by many others: Roberto Carlos, Nicholas Anelka, Edouard Cissé in the 2000s, Mamadou Niang, Felipe Melo, Guti in the 2010s and for this season 2015-16, many world known names, are coming to try leave their mark in the League’s diaries. If Manchester’s United star, Robin van Persie( Fenerbahçe) is leading the pack, his mates aren’t less well-known: Samuel Eto’o(Antalyaspor), Lucas Podolski(Galatasaray), Nani(Fenerbahçe), Stéphane MBia, will add more excitement in the Turkish Stadiums. Süper Lig may be not as glamorous as Premier League, Serie A, La Liga, Ligue 1 and BBVA, but they have something “more”, that distinguish them from other”minor” championships. The country’s renovated stadiums are now full of hot-blooded supporters and some of the games as the”classico” between Fenerbahçe SK vs Galatasaray SK is watched worldwide; furthermore, unlike China, the Turkish clubs are involved in the Champions and Europa League, two competitions that attract lots of media coverage. Even if Turkey is like many other Asian countries, a destination for foreign players who have already reached the peak of their careers, the system tax made the Turkish championship a very attractive place to be. The foreign players pay only 15% of their income, (but the locals pay 27%). What a difference from some European countries like France 70%, Sweden 56.9%, 52% in Spain and 45% in England ! 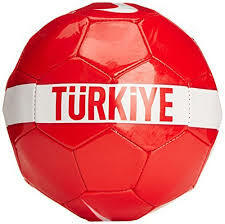 Only Bulgaria ask less (10%) than the Turkish League. Also, the historical cities, the bland of Western-Oriental life and the seaside resorts help the players to adapt quickly and have some good time with their friends and family. When several European Leagues are seeking to add more national players in their teams, Turkish laws are contrary to the principles laid down by the EU. Turkey is not a member of the European Union and have taken advantage of that liberty, to make several changes. From the 2015-16 season, each club can sign 14 foreigner players(8 players, before the new law). The 8 players restriction, displeased the big clubs, for they think that “new blood” could help their competitiveness at European level. The new law also permit 11 foreigners to be included on the match sheet. The clubs will also have the opportunity to buy home-grown players cheaper; the 8 players restriction on recruitment of foreign players has caused an inflationary movement about national players. They became so expensive that Ursaspor recently set a price of £10 m on a 19-year old midfielder ! Bringing foreign players, will help the clubs’ finances, for Turkish players are not only expensive, but their wages are expensive too! Galatasaray have contacted £ 80 M debt in the last two years! Nevertheless the Turkish clubs will have some fresh money to spent or pay their debts; the Turkish Federation have now a new agreement on domestic TV rights with Digiturk operator for the 2015-17 period. That means 41% TV rights increase and the arrival of a hefty 362 M Euros in the clubs’ pockets. Through this TV rights increase, the Süper Lig became the 6th championship benefiting domestic TV rights just behind the 5 big European Championships. 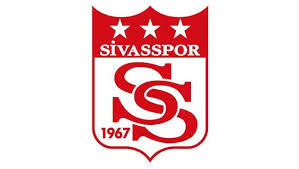 Nevertheless that may be another cross to bear for some average European clubs; FC Toulouse would like to sign Michael Ciani, but there’s two Turkish clubs on the player too, so…Qui vivra, verra! ‹ Trapp-ed ! Where to for PSG’s Salvatore Sirigu ? Another Silly Season Rumor.